Claims that moderate drinking boosts your health may be misleading, say doctors. Despite a slew of studies linking moderate drinking to health benefits, boozing to boost your health is a zero-sum game, doctors say. People who consume one or two drinks a day may be less likely to encounter health risks like heart disease, type 2 diabetes, and the common cold. But there is not enough evidence to suggest that alcohol should be used to ward off these hazards, says Norwegian psychologist Hans Olav Fekjaer in a recent editorial in the journal Addiction. "People have several motives for drinking alcohol, but most evidence today indicates that health is not a valid argument," says Fejkauer. Associations between health and moderate drinking may have more to do with behavioral patterns than the alcohol itself. Richard Saitz, professor at Boston University Schools of Medicine, explains that people who drink moderately may be more likely to lead healthier lifestyles overall. "People who drink low risk amounts are much more likely to get mammograms and have their teeth checked by a dentist, to go see a physician for a physical, to exercise," he says. "We don't think that low amounts of alcohol cause people to go to the dentist, that's just an association." Saitz says non-drinkers should not interpret these studies as proof of alcohol's health-boosting properties, and be compelled to start drinking. 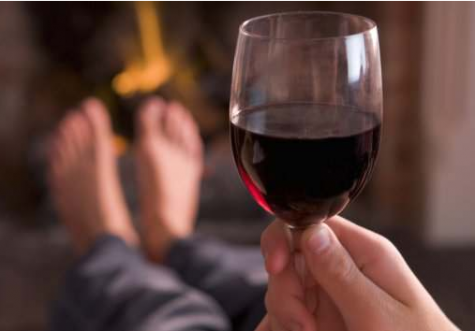 "It tends to be little old ladies who have a heart attack and they read somewhere that alcohol is good and they start having a nightcap," says Dr. Sharonne Hayes of the Mayo Clinic in Rochester, Minnesota. "They hold their nose and drink it, an ounce of brandy before bedtime, they don't even like it. It's with great relief that I tell them they don't need to do that anymore."